Carrot is a root vegetable usually orange in color. It ahs crisp texture when they are fresh. Carrots can be eaten in various ways. They can be boiled, steamed, or cooked in soups and stews. They can be eaten raw by adding them to salads. In India carrots are usually added to spicy rice dishes, dal and salads. The most popular dish with carrots is Gajar KA Halwa. 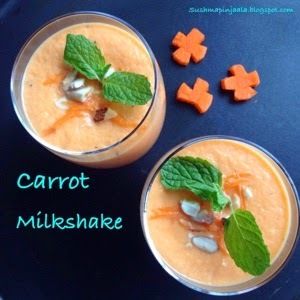 Carrots can be taken in juice form or added to milk to make Milk shake. Soak almonds and cashew nuts in hot water for 15 minutes. Peel the skin of carrots and presser cook with water for 2 whistles. For day 2, under Kids Delight- colorful Dishes, am here with a simple and tasty Samosa pinwheels. 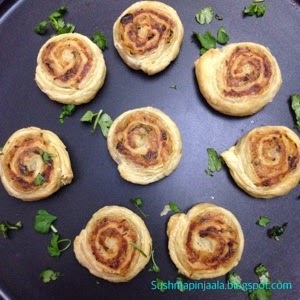 It is called samosa pinwheels because we are using the filling which is usually used to make samosa. Mixture of mashed potato with some other spices and chopped cilantro. It is called pinwheels because we will be filling the potato mixture on the puff pastry sheet, roll and cut them into pieces which looks like wheels. Thaw the puff pastry sheet. Preheat the oven on 350 F.
Meanwhile in a mixing bowl add boiled and mashed potato, grated carrots, chopped cilantro and mix well. Also add garam masala, coriander powder, cumin powder, salt, black salt and 2 spoons of lime juice. Beetroot is the taproot portion of the beet plant. Other than food, it is used in food coloring and as a medicinal plant. Usually deep purple root of the beetroot are eaten either boiled, roasted or just like that in a salad. When beet juice is used it is most stable in foods with low water content. Betanins obtained from the beets are used as a red food colorants in desserts, jams, ice creams and breakfast cereals. Beets are also used to make wine. It has many nutritional values too. Today we are starting with final week of Blogging Marathon 49. My theme for this week is to cook colorful dishes for kids. For day 1, I choose to cook with beets, which as a natural color in itself and also very good for our and kids health. So here is a colorful idly with beets. A paratha is a flat bread that is originated in South Asia. 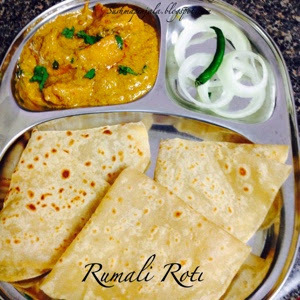 Paratha means layers of cooked dough. The dough usually contains ghee or oil. It is usually stuffed with boiled potatoes, peas, cauliflower, paneer etc. 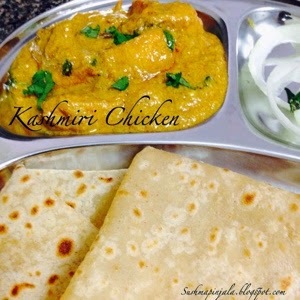 These cooked parathas can be simply eaten with yogurt, pickles or with any veg or non veg gravy curries. Paratha is an important part of the traditional south Asian breakfast, they even eat them in lunch and dinner. They are usually cooked on stove top with lots of ghee but few people these days they even bake in the oven for health reasons. Add all the ingredients except oil in idly batter and mix well. 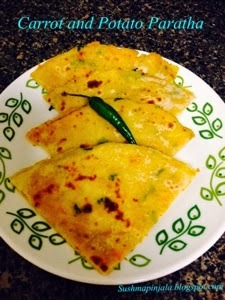 Heat non stick or regular dosa pan. Add 2 to 3 spoons of oil, and add good amount of mixed batter. Indian breads are a wide variety of flatbreads and crepes which are an integral part of Indian Cuisine.Most flatbreads from Northern India are made from milled flour, usually atta or maida and water. Some flatbreads especially Paratha 's are stuffed with vegetables some times ground meat and layered with butter or ghee and flattened by rolling. Most Indian Breads such as roti and chapatti are baked on tava or griddle. Others such as puri and bhatura are deep fried. In South India and West Coast most flatbreads are basically crepe made from lentils and rice. 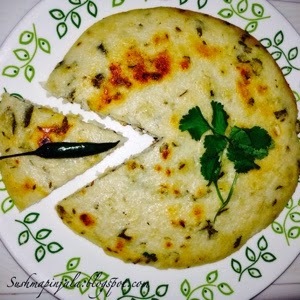 Popular varieties among them are Dosa, Appam, Uttapam, rice roti's etc... A batter of rice and lentils is prepared and ladled in small amounts onto hot and greased skillet, where it is spread out into thin circle and fried with oil till golden brown. In Western India bread may be made from coarse grains such as Bajra and Ragi.